There’s a place for people who want to create products; it’s called the engineering or development section in most companies. UX designers don’t make products. It’s not their job to choose how to code a nifty feature or to decide which glue to use to make a safety bar 100% safe to use. 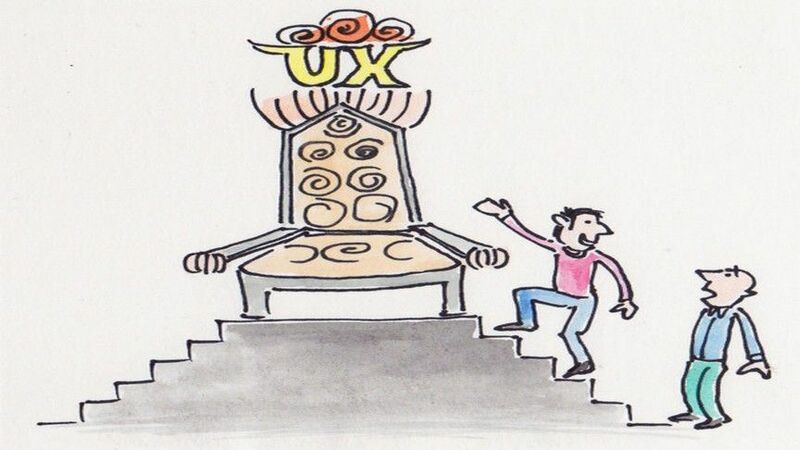 There’s a definite technical focus to UX work but it’s not the be-all and end-all of our work either. UX helps users find joy (or at least meaning) in the technical products that we release. There are many stakeholders in each company and each of them is responsible for giving direction into the development of a product. The UX designer doesn’t provide direction; they are responsible for steering the course laid out by others. This isn’t as hard as it sounds. UX designers are all about subtle leadership. A nudge here or there that can help get round the biggest obstacles or leap the tallest hurdles is a skill that many never seem to be able to adopt. In fact, it’s much more challenging than it looks to be a UX designer. UX designers specifically don’t fit into the standard pigeon holes that many companies are using to define where people belong in a company. No, not everyone can be a UX designer.